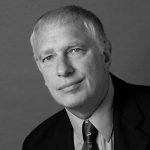 Doug Casey: It's Dangerous to be Politically Incorrect Anymore! - Wall St. for Main St.Wall St. for Main St.
Doug Casey: It’s Dangerous to be Politically Incorrect Anymore! Jason Burack of Wall St for Main St interviewed returning guest, best selling author, world traveler, international man, speculator & founder of Casey Research, https://www.caseyresearch.com/, Doug Casey. During this 30+ minute interview, Jason starts off by asking Doug about President Trump and if Trump has done anything Doug has liked so far? Doug talks about how and why so many people hate Trump leading to a long discussion about cultural Marxism and the politically correct movement in the US. Jason also asks Doug about a global US Dollar shortage, stagflation coming and how to speculate on gold stocks.